Does anybody really know what time it is? The answer is no, in spite of millions of wrist watches we wear, in spite of countless clocks on towers, churches and buildings, and even though everyone has at least one smartphone. Nobody has a clue. For travelers it is difficult enough to add one hour to the time when they race through the Eurotunnel from the U.K. to France. When they continue on to Romania, Bulgaria or Greece, they need to add another hour to the time. And when they return to England, they need to start subtracting. Time zones do make sense, because of the fact that the Earth’s rotation makes sure day and night do not happen at the same time in every corner of the world. When the Japanese wake up, the Europeans go to sleep. And when the Europeans leave their cozy and warm beds, the Americans get ready for their well-deserved portion of sleep. Our summertime, or Daylight Savings Time, as the Americans call it, already messed things up. Europe’s summertime started on March 25th this year. It will end on October 28th. In the United States, on the other hand, it commenced on March 11th and ends on November 4th. This means the time difference between Paris and Washington D.C., which normally is 6 hours, was 5 hours from March 11th to March 25th, and it will be 7 hours from October 28th to November 4th, before going back to the usual 6-hour difference. What a pain in the neck. Europe is discussing a cancellation of those time switches before and after the summer, once and for all, because it leads to a mess, because nobody ever knows whether they have to set their watches and clocks one hour ahead or backwards, and because nobody ever knows what bloody time it is. Some people even say they develop health problems because of those time switches. But now, the President of the European Commission, Jean-Claude Juncker, wants to let the European Union’s member states decide for themselves whether they want wintertime or summertime to apply eternally. Theoretically, this means there might be a time change between Denmark and Germany, another one at the border between Belgium and Luxembourg, and yet another one between Austria and Czechia. This kind of condition would definitely deserve to be called a chaos. 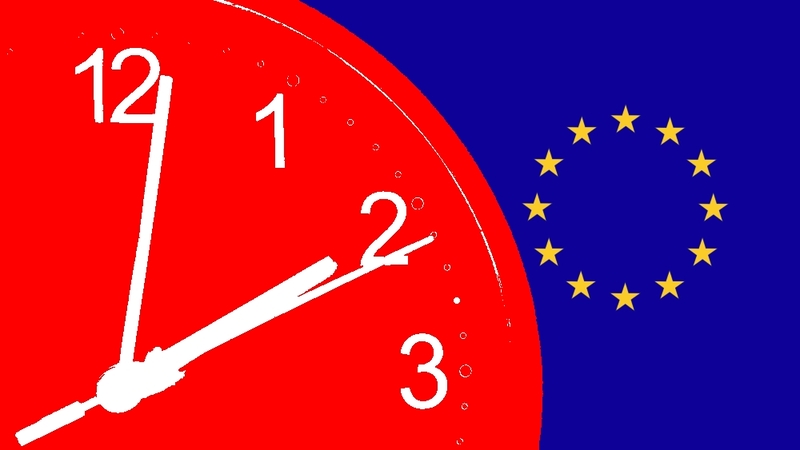 The European Commission wants to make sure the citizens in the member states will have to switch times for the last time in 2019. It already came up with a draft law. In order to make it happen, the European Parliament and the E.U. members will have to approve it by March. So, what is it going to be? One single time zone in all of the E.U.? Up to three different time zones? Will it be eternal wintertime or eternal summertime? Will there be different time zones at every internal border? At this stage nobody has the faintest clue. What is known is that 84 percent of Europeans who took part in a recent poll want to get rid of those frequent time switches. Most respondents want an eternal summertime, maybe because they think their are abolishing the cold season. What this would mean? The sun would rise extremely late in winter. With an eternal wintertime, it would rise extremely early in summer. Apart from Germany’s Chancellor Angela Merkel, Lithuania, Latvia, Estonia and Finland are ready to throw those time changes overboard. At this stage it is unclear how supportive the other E.U. member states will be. So, what time is it? No clue.